We've found that when you're trying to make the world's most expensive anything, your best bet is to slather it in precious, precious diamonds. Kathryn Wilson, who is apparently aware of this fact, did exactly that when commissioned to make a custom pair of kicks for a Ronald McDonald House charity auction. Are these sparkly heels stylish? Hard to say. The facts, however, are fascinating. 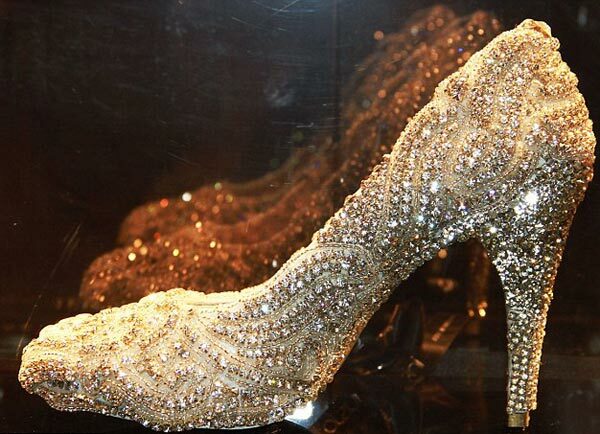 Auctioned in New Zealand for the equivalent of $418,450, the shoes required a full-scale security contingent to keep the 21.18 carats of diamonds safe. It took Wilson 50 over hours to make the shoes by hand, often staying up into the wee hours of the night, her eyes squinting over her delicate work. Photos: Via The Daily Mail/Courtesy of Hot Spot Media.